It is officially fall here at SWWL as the “changing of the guard” has occurred. MW is out and several guides have headed back to school, leaving room at the guide table to finally stretch out the elbows a little bit. This also means lots of room to spread out on the water, and more walleyes for me! Some rather blustery conditions limited our ability to charge around in the big water this week, but we still managed to keep up our big fish numbers, although volume suffered a bit. For the week we had 28 walleyes over 27 in. including 7 – 28s, 1 – 29, and one monster 30. 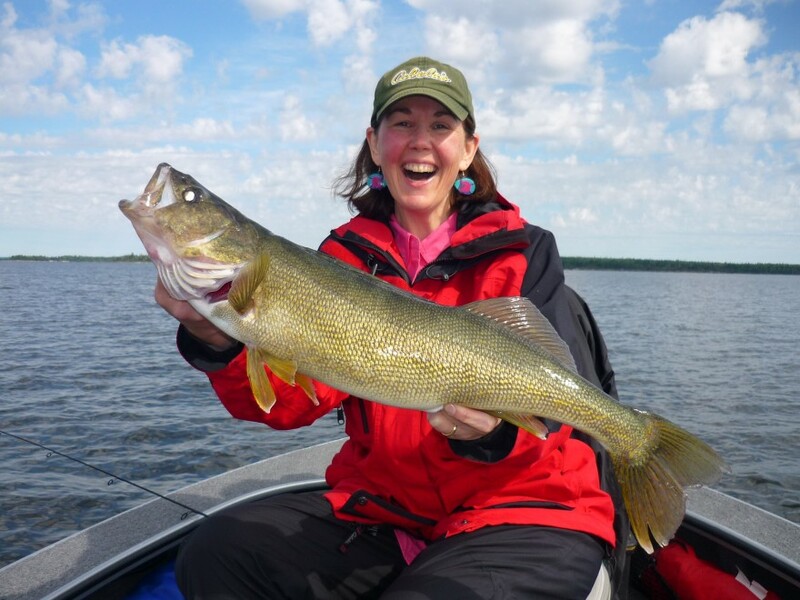 Guide sheets averaged around 25 walleye over 18 in. per day. Those big fish numbers are impressive considering there were only 5-6 guides on the water each day. The big gulp bite is still working as a pattern to produce good fish, but more success was seen with a ‘geared down approach’ on the windy days. 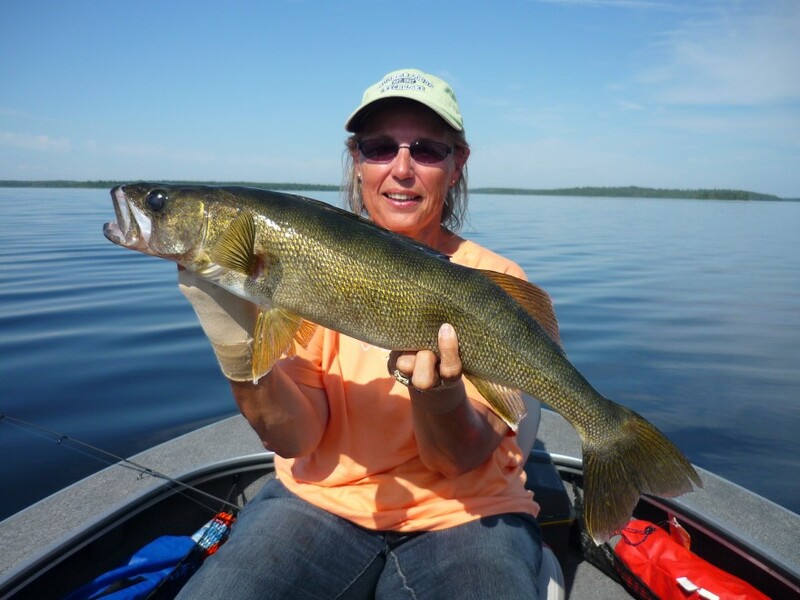 Averaged depths were normal for late summer on Lac Seul, with the majority of good bites occurring in 20-35 ft., and the deeper rock bite (30-35ft.) turning a noticeable amount of the bigger fish. It does feel like fish are beginning to be on the move a bit, and with some of the weed beds beginning to die off, we are watching out for shallow pulses of fish that have historically occurred in past fall seasons. The big pike fishing is on the cusp as well. Lots of big follows this week and consistent mid-30s fish are being turned on days when pike are being targeted. For the week we saw 5 pike over 37 in. with 1 – 40, 1 – 41, and 1 – 42. That being said, there are a lot of pike still deep and being caught incidentally while walleye fishing. Soon there will be monsters-a-plenty in the shallows, and the boys will be slinging away. My lesson of the week occurred when fishing with Al and Babs Debes. 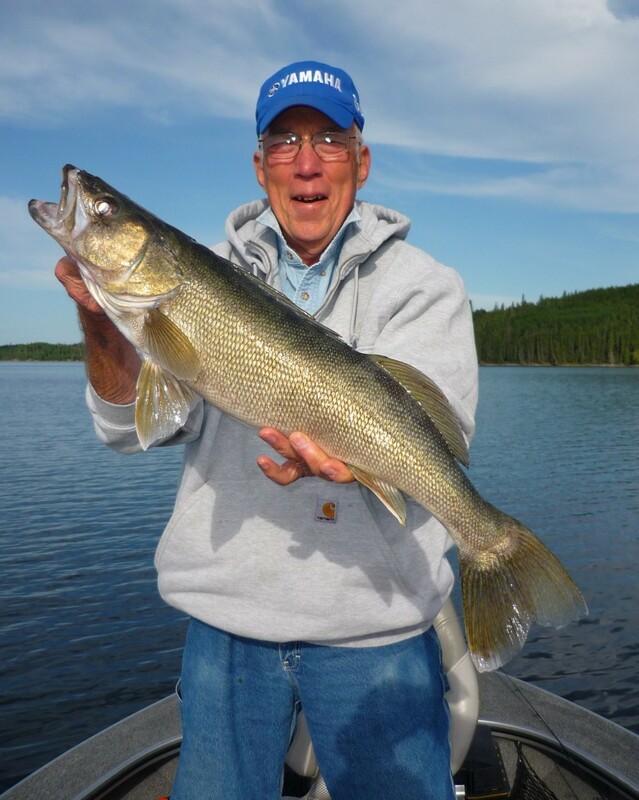 Former resort owners on Leech Lake and very experienced walleye anglers, they taught me a few important things, most notably that I am a spoiled Lac Seul fishing guide. When I suggested we change spots after only catching 5 fish for the sheet in about an hour, they looked at me with (wise) surprise and said, “Jesse, this is not slow. This is fantastic!” Soon after that, Al managed to catch his personal best walleye of his life – a monster 27.5 that outweighed most 29s I have seen. As guides we sometimes forget what an incredible fishery we are on and begin to take for granted what we manage to produce day in and day out. That’s all for this week folks. Thanks for checking in and we hope to see you up here soon!